Duane had not one, not two, but three broken iPhones in Dubai that he was in desperate need of getting fixed. Two of them were his and the damage was of his own making. The third, however, belonged to his youngest daughter who had dropped it when entering school the other day. Since the week of cracks, the family has not been the same. Things have kept happening. Fender-benders, spilled coffee, homework eaten by the dog. Duane was fed up with this bad luck and decided it was all the fault of the broken iPhones he was in possession of. Wanting to move on from these troubles, Duane looked for an iPhone repair service in Dubai that could fix his broken iPhones as quickly as possible. 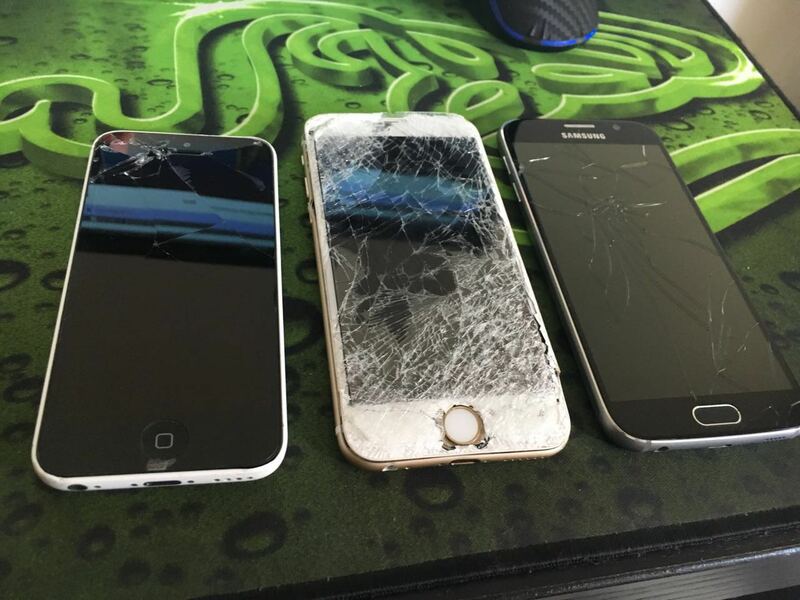 After asking around and searching the internet, he stumbled upon an amazing iPhone repair service in Dubai that not only goes to its customers, but also fixes the devices on the spot, right there in front of you. He was sold! He gave a call moments later and set up an appointment with us to meet him near Dubai Mall at his office building. We showed up a few minutes early and met him in the lobby. He took us to an open office space on his work floor and we got cracking on replacing those screens. In just about an hour, we had all three iPhone screens back to normal and looking brand new again. When Duane returned, he could feel a change in the universe. His family’s bad luck was over! Delighted with our service, Duane promised to tell all his coworkers and friends about this amazing service in Dubai and Abu Dhabi that works to fix damaged iPhones and iPads around the emirates. If you are a past customer, be sure to spread the word about our tremendous service. We love to help out! Busted iPhone 6 Screen Fixed in Dubai! 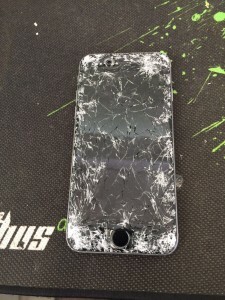 Danny had never seen a iPhone 6 screen fixed before and was curious how we did it. This was of course after several hours of sadness and embarrassment walking around Dubai and Abu Dhabi with a shattered iPhone 6 screen. He was always reluctant to take his iPhone out of his pocket much less taken a photo or send a picture. 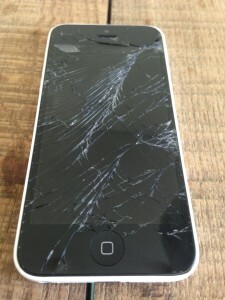 The cracked screen as you can see in the picture was gruesome. Here at iRepairUAE we may even say it was one of the worst we had seen in a long while. Danny was hestitant to tell us how it happened but we finally got it out of him. As fellow Dubai residents, we are all familar with SkyDive Dubai. Last week Danny had gone on his first skydiving experience and was blown away about how exciting it was. The whole day was filled with adrenaline and anticipation. He completed the drop from the sky, landed perfectly, and was psyched to share the experience with his friends and family via the social media outlets. 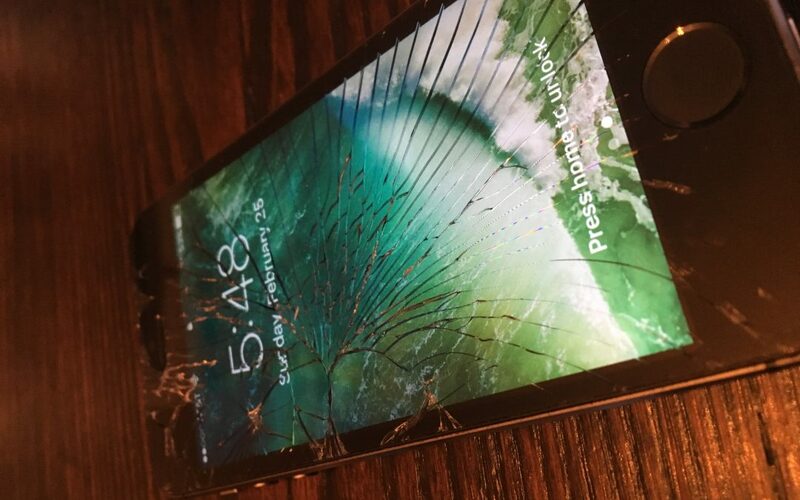 While still on the landing strip, Danny took out his iPhone 6 and watched it fall directly to the ground – cracking the glass and LCD screen. 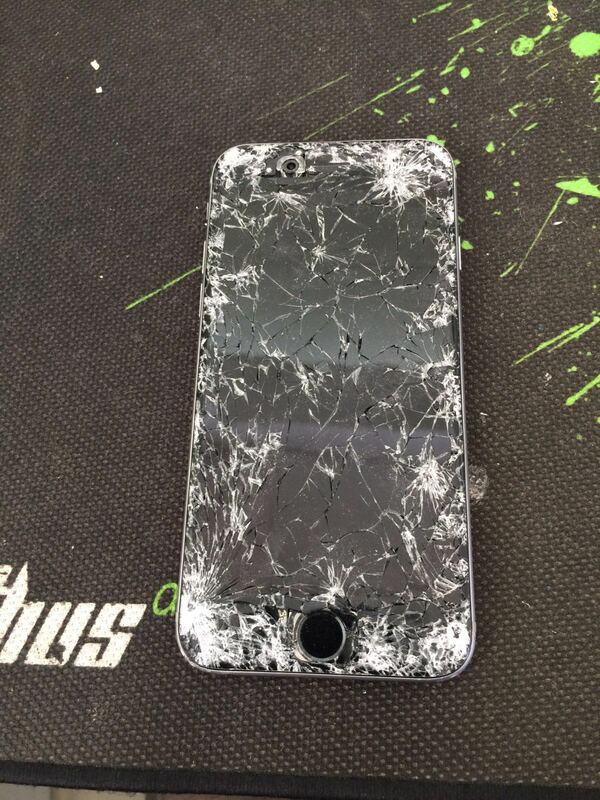 Left broken hearted on the concrete, Danny was now the proud owner of a broken iPhone 6 screen in Dubai. 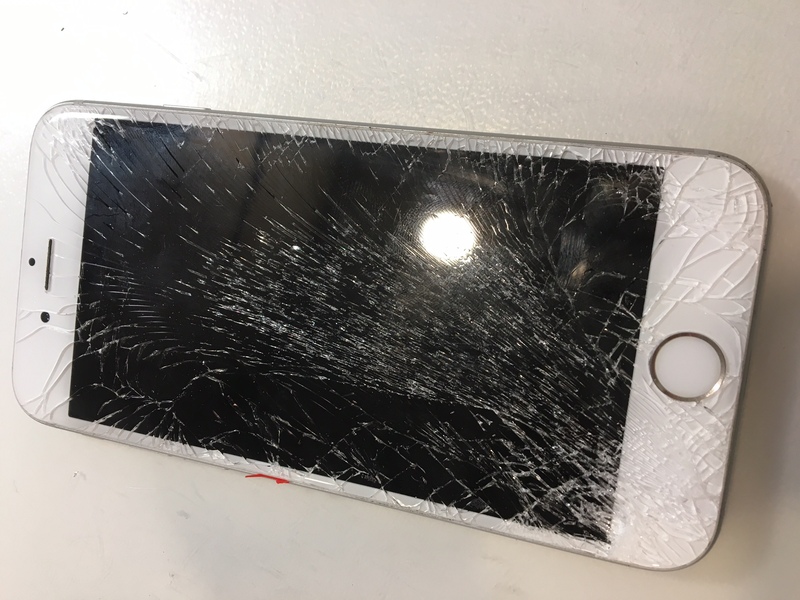 And he needed this iPhone 6 screen fixed immediately so he could share with the world what he had just survived. He went searching for a repair service in Abu Dhabi or Dubai that could have his iPhone 6 screen fixed sooner rather than later. Moments later, Danny had found us online and was on the phone with us setting up an appointment. We met him later that afternoon in the Jumeirah area and Kite Beach and fixed his broken iPhone 6 screen in just under 45 minutes. Back to posting and flying above the skyscrapers. Good luck, Danny! Poolside with a Cracked iPad Screen! Sitting by the pool, staring at a cracked iPad screen just doesn’t seem to have a very pleasing sound to it. Pools are supposed to be a relaxing place where one can get away from the troubles of the day. Sadly for Tim, this once pleasant atmosphere was now tainted with the cracked iPad screen sitting right in front of him. It was nobody’s fault. Actually, that’s not true. It was his young daughter’s fault, but Tim hated to point fingers. His young 6-year-old was playing around in the living this past weekend when she rounded a corner a little too fast. She grabbed onto the couch and knocked the iPad right off the arm of the couch. 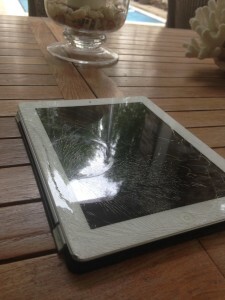 The iPad went flying, ultimately crashing down on the tiled floor breaking the screen. Tim was frantic. This iPad had been with him and the family for a very long time without even having a scratch on it. Unbreakable, he thought. Except the time had come when he was faced with the dreaded cracked iPad screen. Not knowing what to do he turned to the trusty old internet to find an Apple repair service in either Dubai or Abu Dhabi that could fix his cracked iPad screen. Having typed a few words into the most well-known search engine on the planet, Tim discovered an amazing repair service that would come to his house and replace the broken screen right there in front of him – poolside too! Amazing! Tim gave us a ring and we set up an appointment with him to replace his cracked iPad screen in Dubai. He was delighted by the fact that there was a service that would come to him and fix it under an hour. Sure enough, we arrived at his home in Motor City and replaced his cracked screen in under an hour. Thanks for the tea, Tim! We love your pool!